Bernard Tschumi's Event-Cities presents an original selection of his most recent architectural projects, which are at the center of polemics on architecture and cities today. 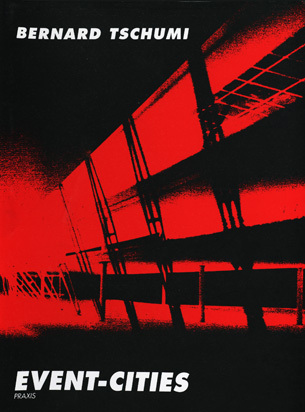 Tschumi has already expanded the field of contemporary architectural theory through his writings. Now, with Event-Cities, he enlarges some of his earlier concerns to address the issue of cities and their making. Using different modes of notation ranging from rough models to sophisticated computer-generated images and testing various means to inscribe the movement of bodies in space, Tschumi reveals the complexities of the architectural process and the rich texture of architectural events that define the nature of urban reality.